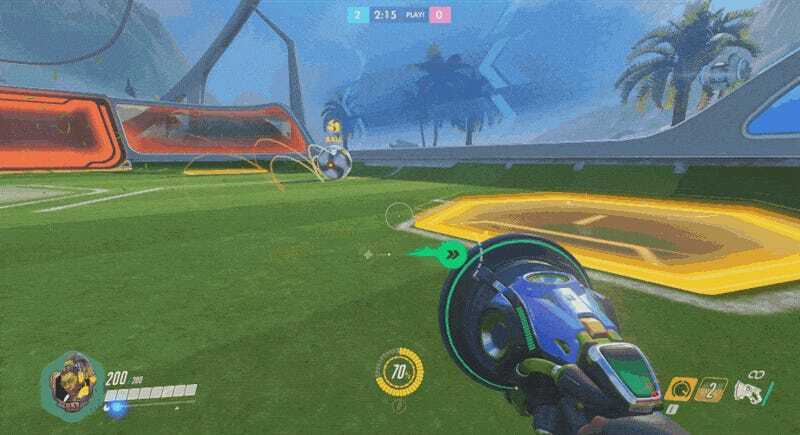 Today Overwatch got a new game mode called Lucioball. And by “new game mode” I mean that Blizzard has basically turned Overwatch into Rocket League. Do you know what’s pretty fun? An Overwatch version of Rocket League. Lucioball is a new 3v3 mode that’s currently serving as the weekly brawl. It’s part of an Overwatch event that’s running through August 22nd, tied to the 2016 Olympic games in Rio. It’s basically a soccer (football) game where you try to bounce around a massive soccer ball (football) and get it into the opposing team’s goal. If you’ve played Rocket League… look, it’s just Rocket League, but with Lucio instead of cars. Lucioball is very fun. I’m not sure about high-level strategy or whether it’s actually as good as Rocket League or anything like that, but as a goofy bonus game mode? Excellent. If you have Overwatch… why are you reading this? Go play some Lucioball. Then say “Lucioball” ten times fast.